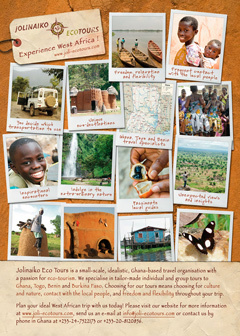 You may e-mail us directly at: info@joli-ecotours.com with all your questions. Important: if you consider travelling with us, we kindly ask you to fill in our contact form in place of only e-mailing us. It is very helpful if we receive your specified requests and information in the form, so we can provide you with the best response possible. Our office is staffed by Cindy Noordermeer-Panou, who will answer your emails and will make travel proposals based on your wishes. Cindy is Dutch and English speaking, so if you are from The Netherlands and feel more comfortable asking your questions in Dutch, please do so. Apollo speaks English and French. Please refer to our Booking Terms and Conditions, which apply to all our tours. If you want general information about the Jolinaiko Eco Tours Company (so not for travel information or proposals) from someone in The Netherlands, you may get in contact with Remco Kalf. 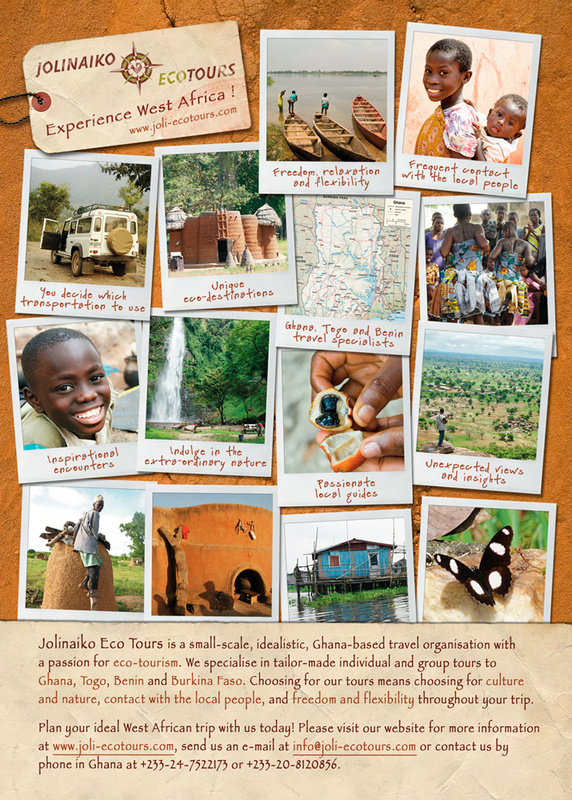 As the web designer of this website, an advisor to Jolinaiko and a board member/founder of the Stepping Stones for Africa Foundation in The Netherlands who offers ongoing technical support to Jolinaiko Eco Tours, Remco will be more than happy to respond to your questions. You may contact him at remco@steppingstonesforafrica.org or on the number +31-(0)70-3819122.